I saw The Hunger Games last Sunday night. I have to say that it is a really good movie. I decided to read the book (the whole trilogy, really) after I read articles and blog posts filled with enormous anticipation at the movie’s release. The movie sounded like it would be interesting, so I figured the book(s) would be worth reading. As a bonus, I was looking for some fiction to read at the time. I loved the books! While I was reading, I kept thinking to myself, “I wonder how they are going to show this in the movie.” Needless to say, I was not disappointed. Now, I have seen many movies that were based on books. The book is always better. In most cases, it is because you cannot go into the kind of depth and detail in a feature-length movie that you can in a book. And, when you are reading a book, you are using your imagination to picture the story and the action. That (your imaginative interpretation) is hard to duplicate on the big screen. All that being said, I think The Hunger Games movie was done really well. It was faithful to the book and it accomplished the telling of the book’s dystopian tale within the parameters of a feature-length film. The visuals were excellent. The starkness of District 12 and its people contrasted sharply with the almost magical Capitol and its well-decorated people. The acting was excellent. I thought that the main characters, Katniss Everdeen and Peeta Mellark, were protrayed well and strongly by Jennifer Lawrence and Josh Hutcherson. Woody Harrelson did an excellent job as Haymitch Abernathy. Elizabeth Banks was wonderful aws Effie Trinket, so much so, that you didn’t even recognize her at all. Lenny Kravitz was subtly powerful in his protrayal of Cinna. Amandla Stenberg faithfully portrayed Rue and her relationship with Katniss. Their few scenes together were emotionally powerful. And, of course, Stanley Tucci and Donald Sutherland were excellent (as you knew they would be) as Caesar Flickerman and President Snow. The power of the story came across in the film. 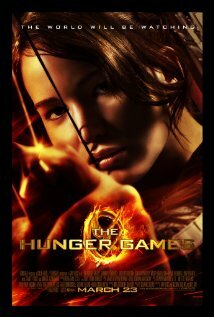 The ideals of sacrifice and love and care shown by Katniss and Peeta contrasted sharply with the Capitol’s fascination with “The Hunger Games” (children fighting to the death for entertainment). The book and movie both speak strongly and clearly to the injustices and consumption-oriented inclinations and desires of our own current-day society and culture. As far-fetched as it sounds, isn’t the concept of “The Huger Games” the ultimate reality show? There is much to learn about us in this story. Finally, I thought the movie did a great job in not glorifying the violence, and in so doing, of not falling into the ironic trap of depicting the very thing that the story condemns. There was a good balance present – enough to be real and true to the story, while at the same time powerfully pointing out the callous indifference to the suffering of others embodied by the citizens of the Capitol. I highly recommend the movie (and the books). Great review Stephen. I really enjoyed the movie…I liked the book a little bit better, but I thought the movie did a great job capturing the essence of the book.